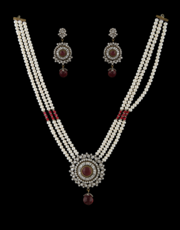 Add a finishing touch to your ethnic look wearing this attractive maroon & white colored necklace set from Anuradha Art Jewellery. 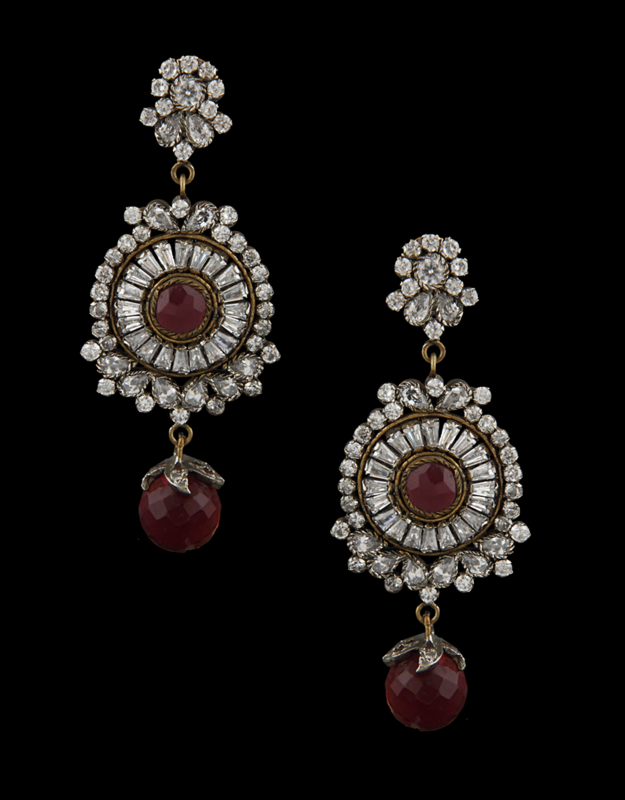 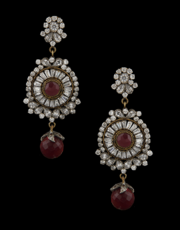 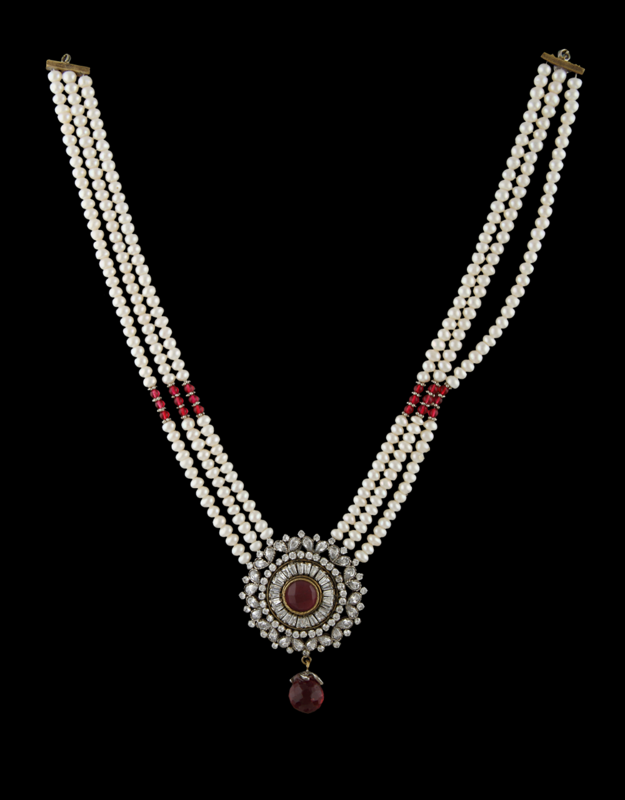 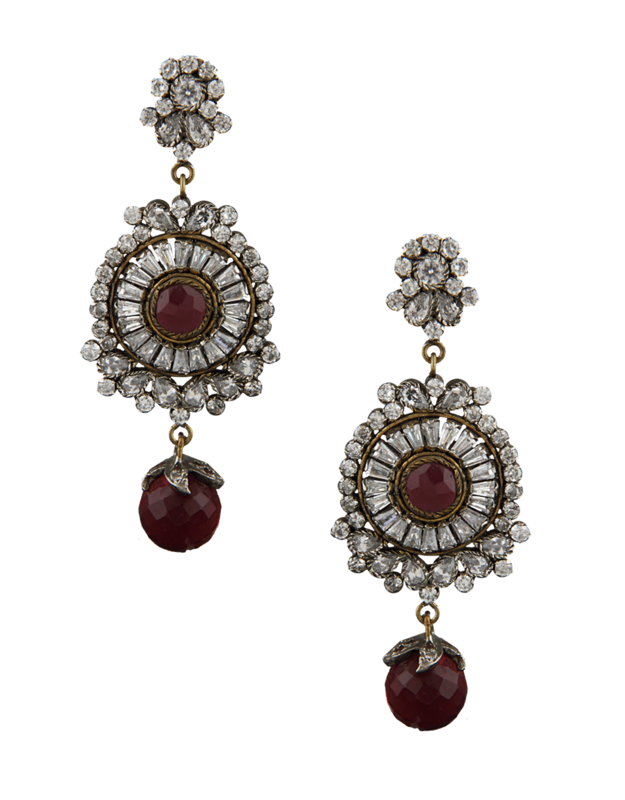 Perfectly studded with American diamonds & maroon colored stone, this set will look equally good with suits and sarees. Made from 40% silver & Victorian polished copper. 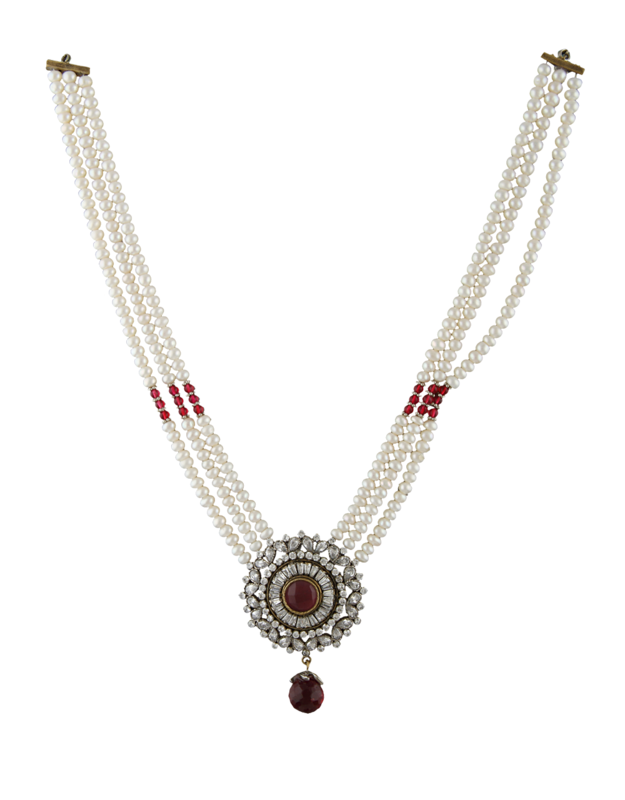 It has a fabulous finish and is safe for your sensitive skin as well.